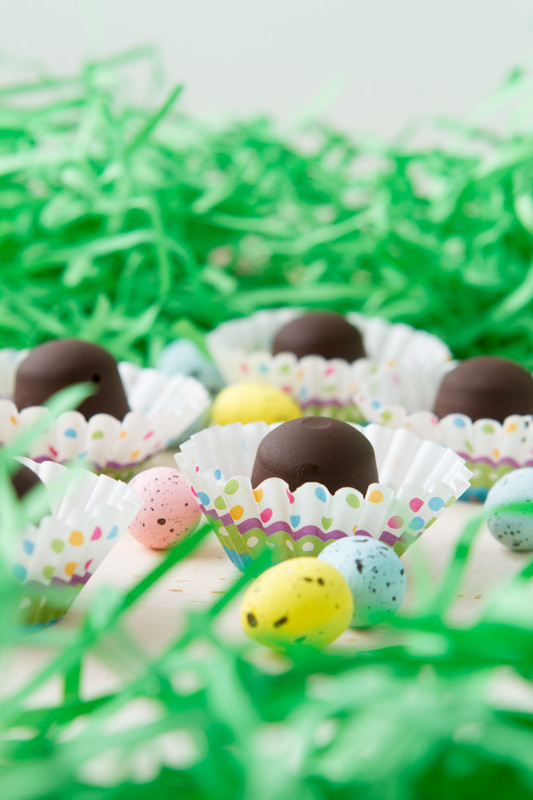 Ditch the artificial flavors this Easter by preparing these easy hazelnut truffles (filled with the goodness of Natural CALM). Easily made with just 5 ingredients. To remove the skins from the hazelnuts, bring 3 cups of water to a boil. Add 4 tablespoons of baking soda and the nuts and boil them for 3 minutes. The water will turn black from the nut skins. Rinse the nuts well under cold running water, using your fingers to remove the skins. Then, add hazelnuts, coconut cream, coconut nectar and Natural CALM to the jug of your high-powered blender. Blend on high until smooth, about 2 minutes. Transfer to a bowl and set aside. 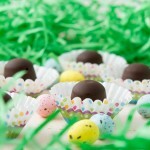 Using a small silicon ice cube tray or candy tray, fill the tray up with melted chocolate, about 1/3 way up each cup. Then, add a 1/3 of the hazelnut mix. Top with another 1/3 of melted chocolate. You will likely make a mess here. Scrape the tops of the trays to remove excess ingredients. Transfer tray to the freezer and freeze for one hour, until hardened. Remove each of the truffles from the freezer and enjoy! Coconut cream: to prepare coconut cream, purchase a full-fat coconut milk (canned) and place in the fridge for at least 12 hours. Open the top of the can and remove the thick cream. But Really … What the HEALTH? !